Bring the unsuspecting bandits to justice as the Harran Ranger! Put on the new camo outfit, execute headshots with your exclusive Ranger Bow, and patrol the countryside driving the Pathfinder. 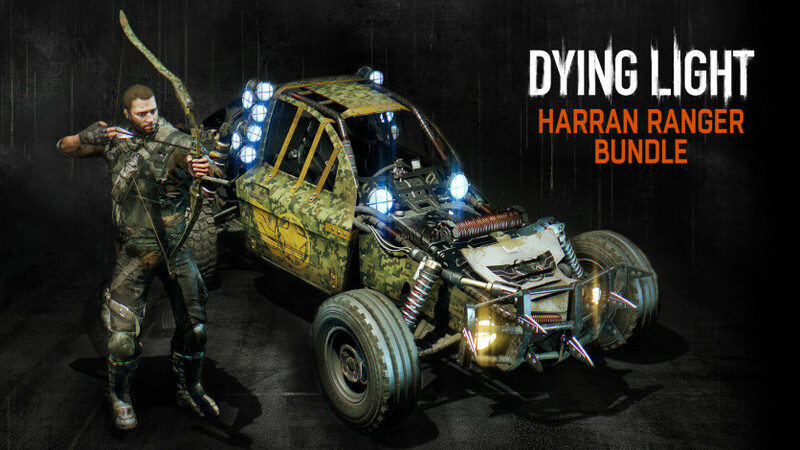 Dying Light - Harran Ranger Bundle includes: a new buggy paint job, a new character outfit, a new weapon blueprint, and four arrow blueprints. Additional Notes: Laptop versions of graphic cards may work but are NOT officially supported.